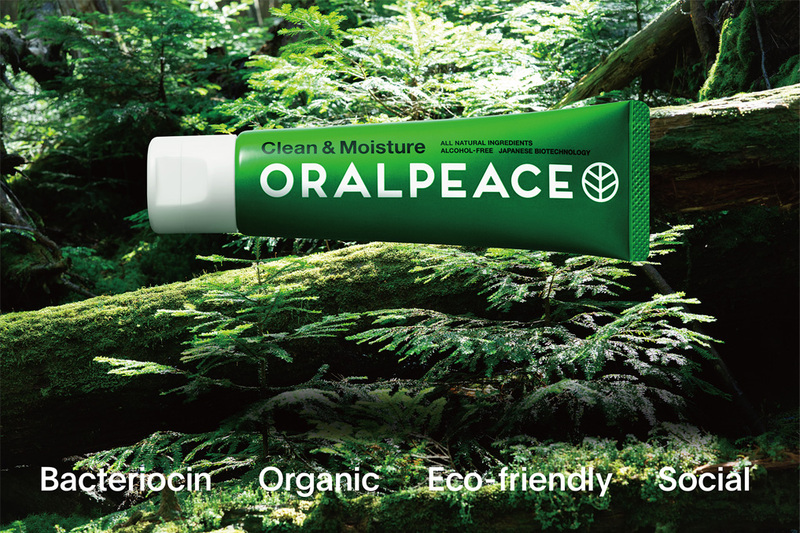 ORALPEACE cleans the oral cavity, moisturizes it and maintains a healthy condition. 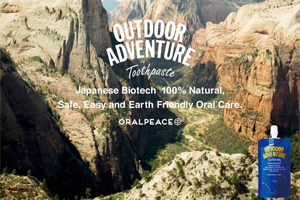 ORALPEACE is degraded and digested in the body if it is swallowed. Toothbrushing, cleaning, prevention of bad breath and moisturization of the oral cavity only with this product. Chemosynthetic ingredient-free and available for infants, elderly people, pregnant women as well as lactating mothers. For sensitive persons with rough skin in the oral cavity and persons who do not like chemosynthetic ingredients. For people for whom there is concern about accidental ingestion and swallowing such as elderly people requiring nursing care, people experiencing severe disability and infants. When camping, climbing mountains and during disasters when water is not available. Simple care by anybody at any time, even if there is no water and the mouth cannot be rinsed. 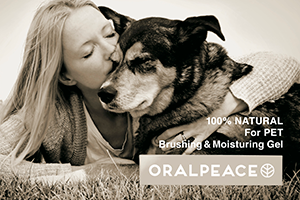 ORALPEACE contains a lactobacillus peptide preparation, Neonisin-e®*, and reduces the burden of oral care. Reducing the burden at a reasonable price. This product is adequate for tooth cleaning, oral care and moisturization of the oral cavity. It washes the oral cavity while brushing, removing dental plaque, preventing caries and bad breath and cleaning the oral cavity. Moreover, it moisturizes the oral cavity that is likely to become dry mouth and keeps it healthy. This product can be used by spraying it into the oral cavity as it is, or as a mouth wash by diluting it with water. It cleans the oral cavity, prevents bad breath, washes areas that are difficult to reach only with a tooth brush and keeps the oral cavity healthy. As a usual toothpaste, apply an appropriate amount to a toothbrush or sponge brush and clean the mouth by brushing after meals and before bedtime. Take an appropriate amount on a clean finger or sponge brush and apply evenly to the inside of the oral cavity. Also available for an electric toothbrush and for baby toothcare. When you cannot clean your teeth or gargle or when you go out, push this product several times directly into the oral cavity as a mouth spray. Also available as an oral care product. Dilute a portion of about 3 pushes with about 20 mL of water in a glass and wash the oral cavity by keeping a sip in the mouth for about 30 seconds.